The Students for Quality Education, a grassroots organization that advocates for California State University students across the state, launched a statewide campaign March 11 that aims to disarm all California State University police. Instead of responding to threats to campus safety with firearms, the campaign, “No Harm, Disarm,” calls for provisions of “restorative justice,” including funding for mental health counseling and safety zones for LGBTQ students on every one of the CSU’s 23 campuses. Romo said the organization expected a great deal of pushback on disarming CSU Police. At least one CSUDH University Police officer proved t that expectation correct. When asked about the campaign, CSUDH President Thomas Parham said that while he understands concerns over armed police officers on campus, the university needs armed officers. “I want to make it clear, crystal clear, that we can’t [ensure a safe campus community] without the local police officers,” said Parham. CSU University Police Police departments are located on every CSU campus, consisting of sworn peace officers trained and are prepared to do anything one would expect a “normal” police officer be able to do, Dinh said. CSU campus police even get extra training specifically for working on a college campus, he said. “We’re keenly aware of the needs of the university, whereas if you were to call somebody from the outside…they may not be aware of any history or have any sort of rapport with the students,” Dinh said. Romo argues the money spent on campus police could be better spent elsewhere. “The main thing that kept coming up was mental health,” Romo said. One of the first actions SQE students took as part of the No Harm Disarm campaign was visiting the CSU’ Board of Trustees during its March 19-20 meeting and speaking during the public comments section. “We want you to invest the generous amount of funding Gavin Newsom gave the CSU into the creation of restorative justice practices that can in the future, be adopted onto all campuses,” Elybeth Alcantar, a fourth-year student at CSU Chico said, mentioning practices such as mandatory deesclation training and unconscious bias training. According to the SQE website, csusqe.org, under the current contract between the CSU Board of Trustees and the State University Police Association, campus officers are armed with a wide array of equipment, including AR-15 rifles, handguns, shotguns, extra ammunition, body armor, helmets, tasers, batons, pepper spray and tactical breaching equipment. The CSUDH SQE plans to hold a teach-in on restorative justice on April 18 and CSUDH campus police will host an “Emergency Preparedness Session” today, April 11, from 4 p.m. to 5:30 p.m. In a March 12 article in the Cal State Fullerton Daily Titan, its University Police chief said UP officers are required to attend training to deal with de-escalation and mental illness. 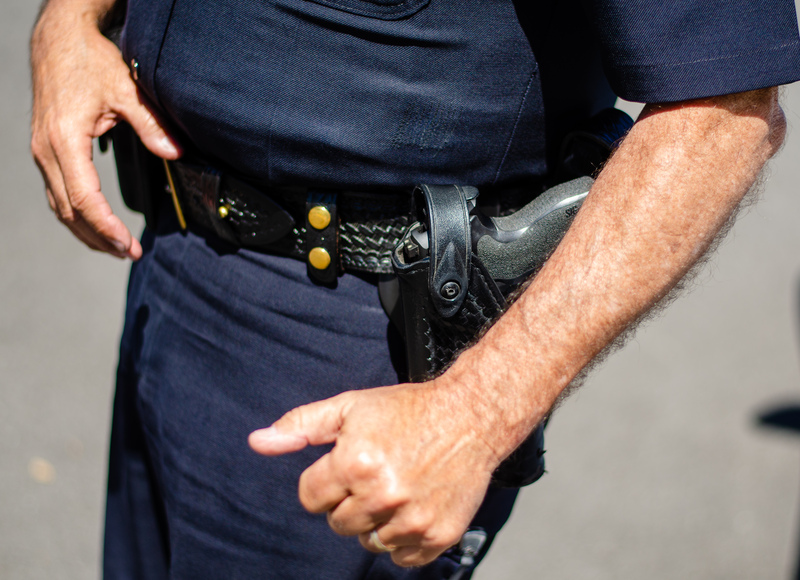 Whether the ultimate decision on disarming campus police lies with the California state legislature or the CSU Board of Trustees is unclear at this point. Last month, an Oregon legislator introduced a bill that would disarm its state university campuses, drawing criticism from university officials who felt that it should be handled at the university level.